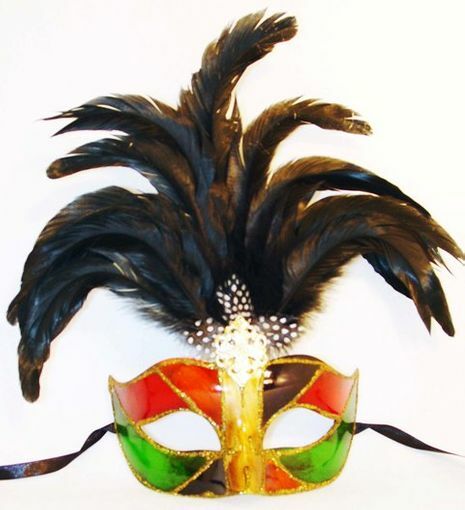 Be royalty at your next masquerade event! This mask is made out of the traditional venetian hand painted paper mache. Has ribbon ties for easy wear.